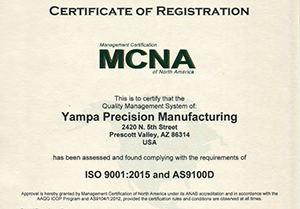 Yampa Precision Manufacturing takes the quality of your part very seriously as we understand the importance of a finished product meeting all requirements and specifications on our customers blueprint. We operate to the highest quality standards through maintaining our ISO9001 and AS9100 certifications. Click here to see our certificate. We strive to respect the urgency of our customers deadlines with a proven track record of on-time deliveries. Through years of combined experience, we are able to add value to your products and efficiently complete your orders. 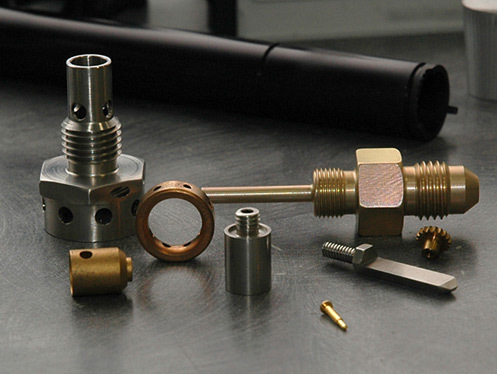 Yampa Precision is your provider of machined parts for aerospace, defense, weapons, medical, technology and commercial industries. Our capabilities range from engineering and design, CNC precision machining, high to low volume, contract and split deliveries and assembly. We work with a variety of materials. 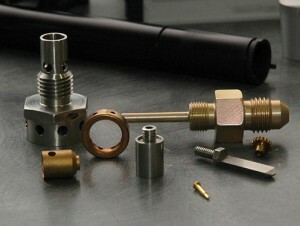 Such as; aluminum, stainless steel, alloy steel, plastics, titanium, brass, etc. Yampa Precision was established on the principle of personalized customer service through working to meet our customers’ needs while providing uncompromised quality products. © 1976-2018 Yampa Precision, LLC. All rights reserved.